SALE! now $100, originally $155. Vintage mid century modern American of Martinsville Mirror c. 1960. Bleached walnut beveled mirror. Matching nightstand. Excellent condition. Perfect for your living room, dining room, or bedroom. Measures 36.25" across, 48" tall, 1.25" deep. SALE! now $100, originally $155. 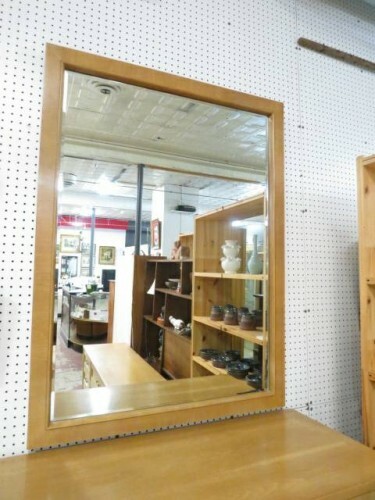 Vintage mid century modern American of Martinsville Mirror c. 1960. Bleached walnut beveled mirror. Matching nightstand. Excellent condition. Perfect for your living room, dining room, or bedroom. Measures 36.25″ across, 48″ tall, 1.25″ deep.